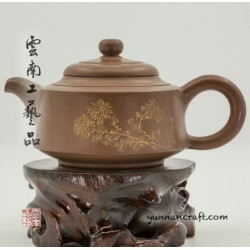 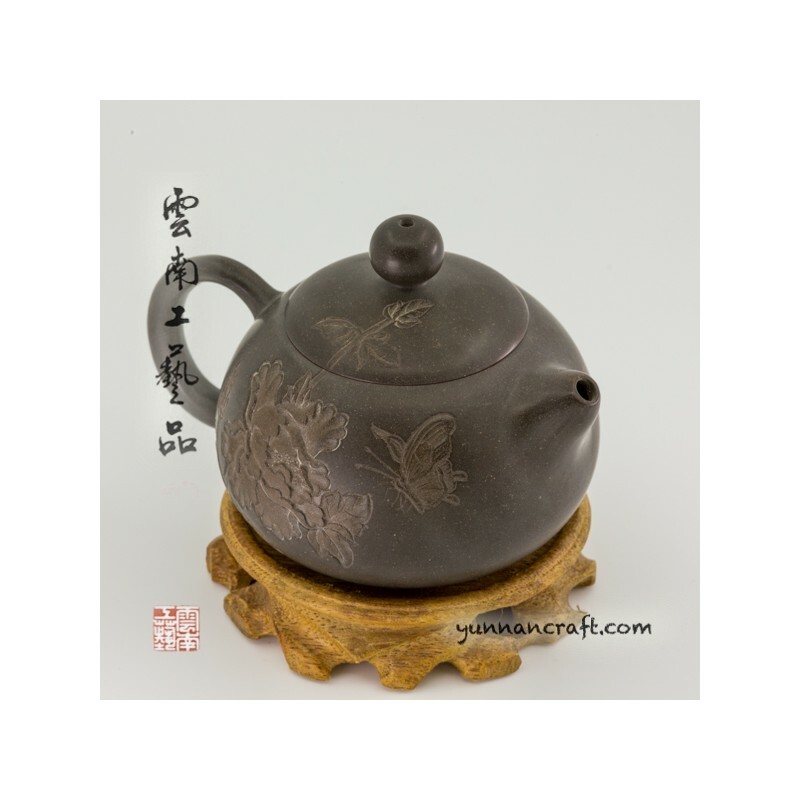 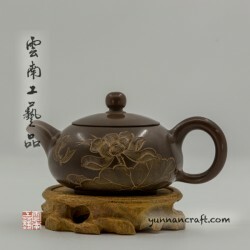 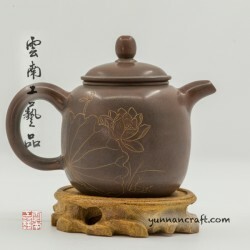 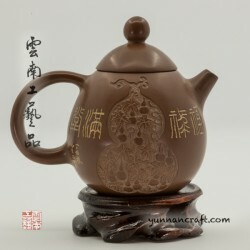 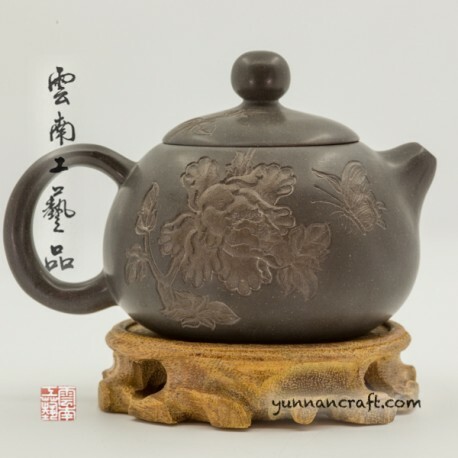 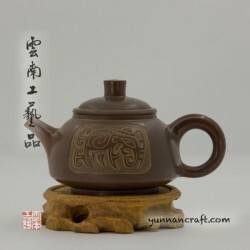 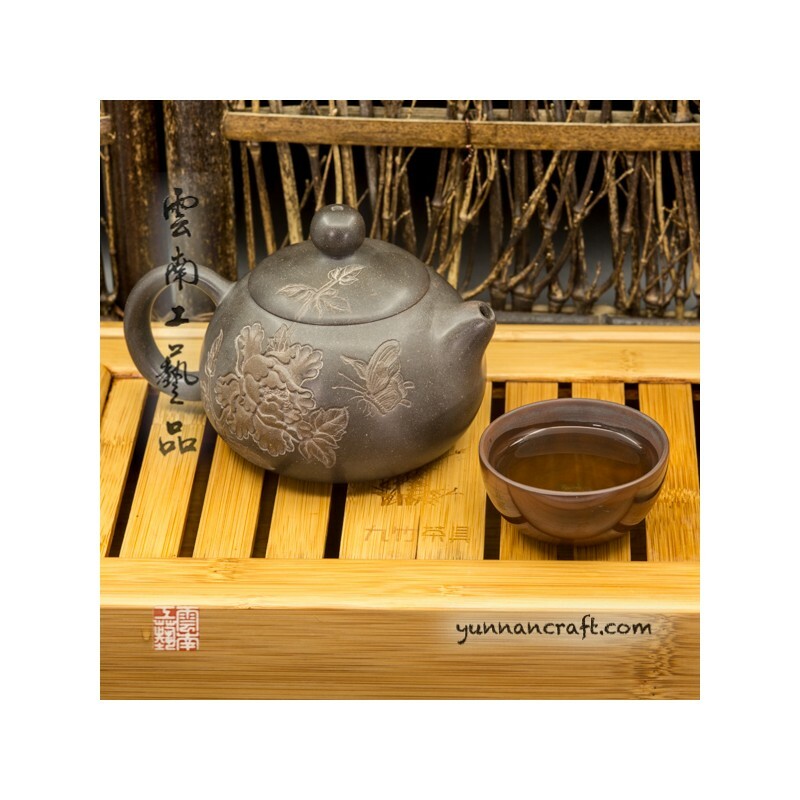 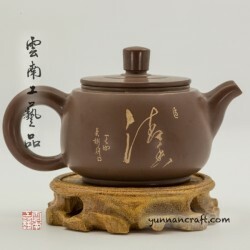 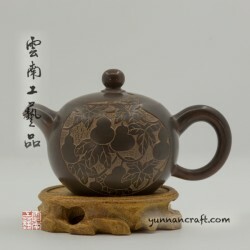 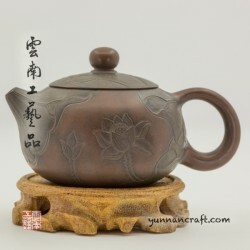 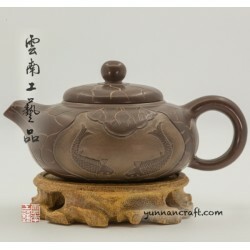 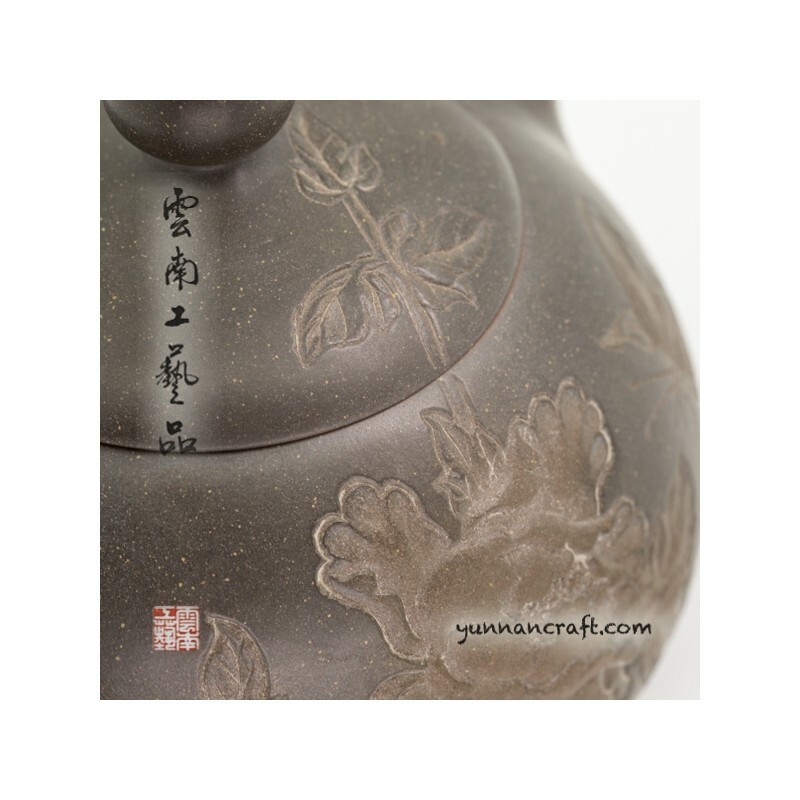 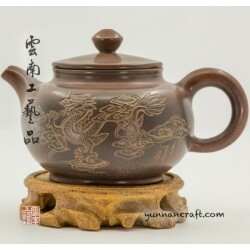 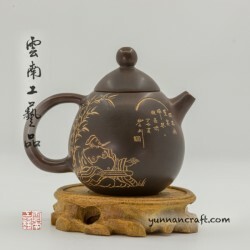 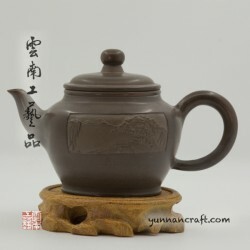 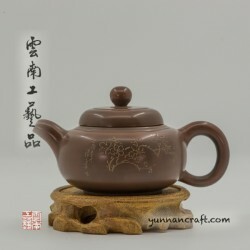 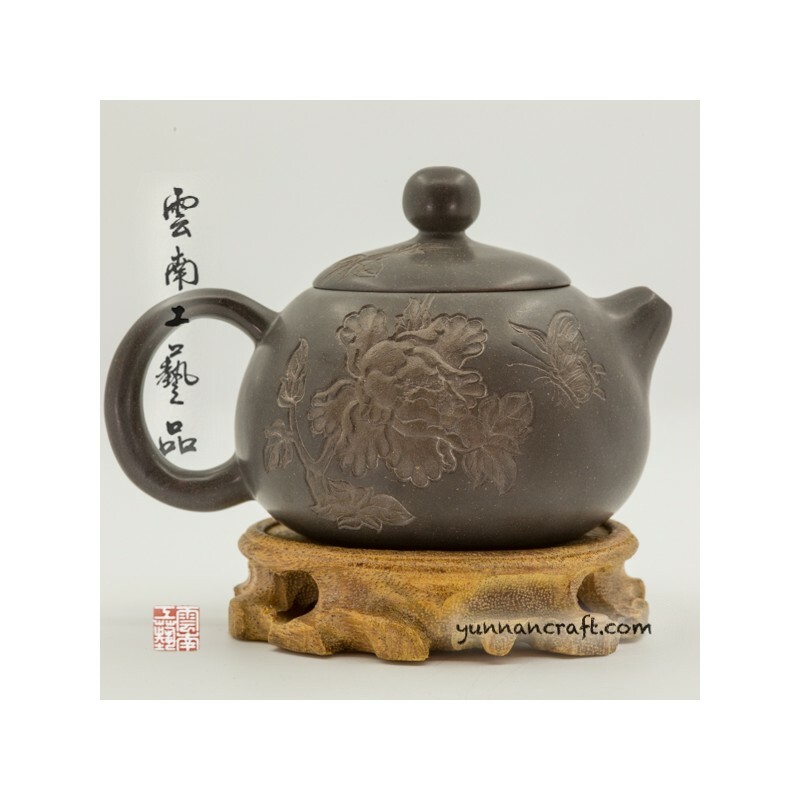 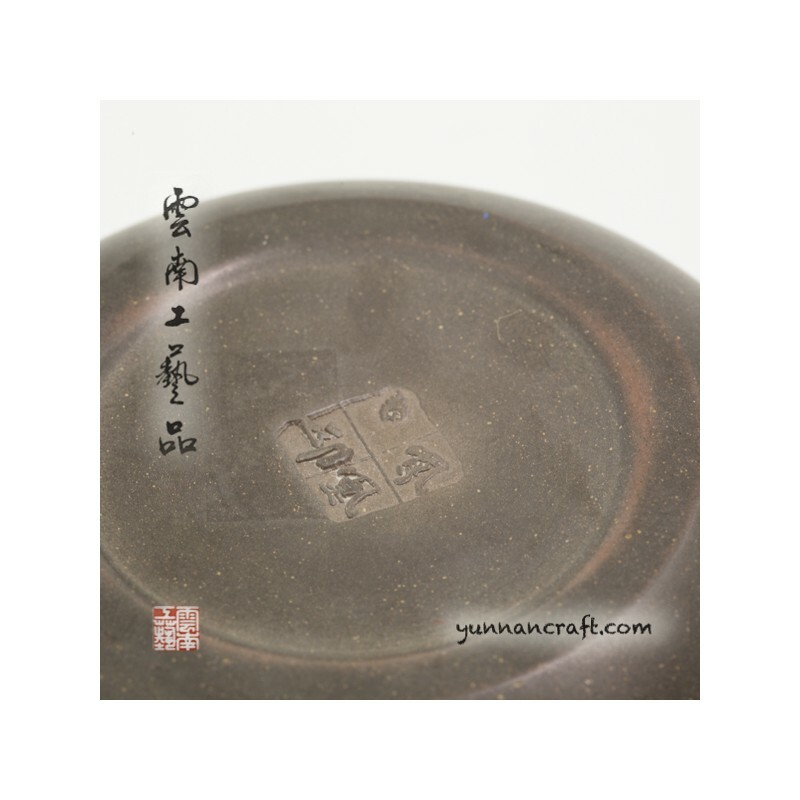 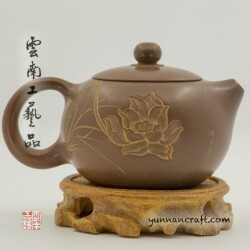 Hand made "xi shi" style teapot with chrysanthemum & butterfly design. 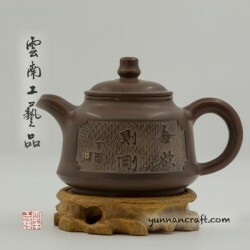 Very good work on carving. 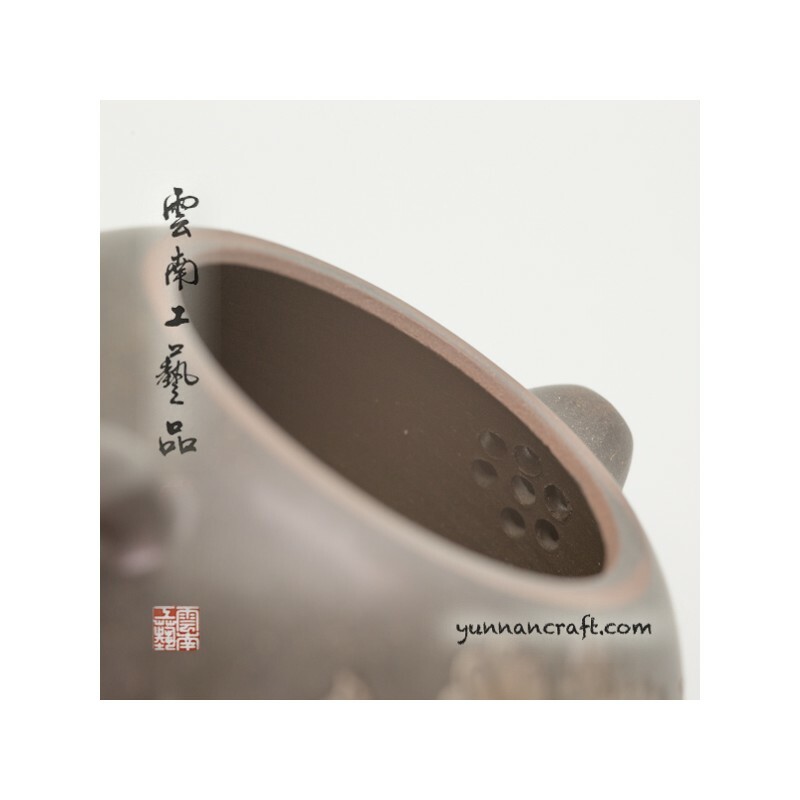 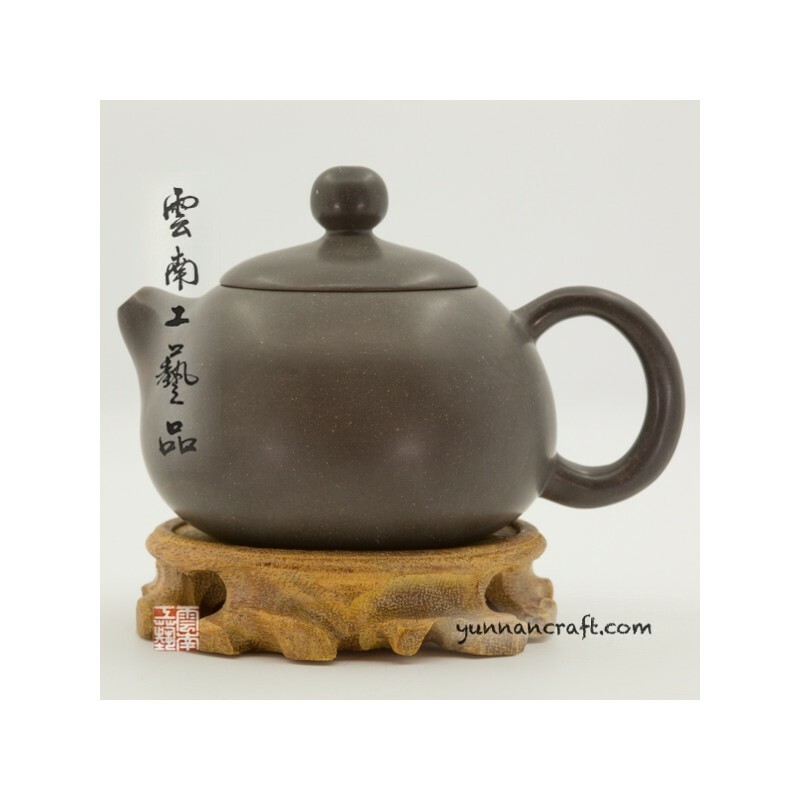 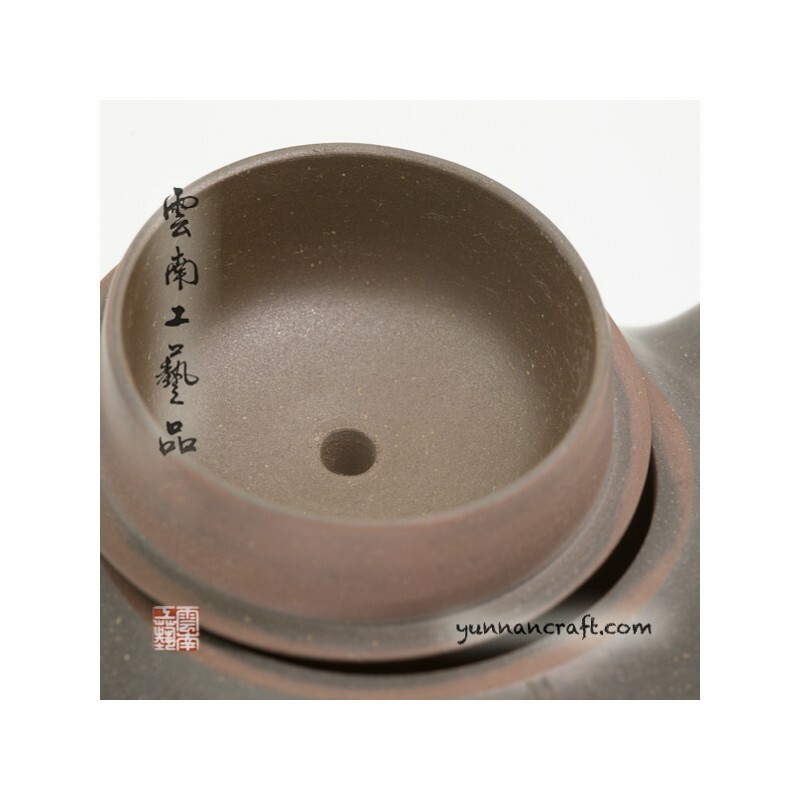 Big volume tea pot with narrow nozzle extending the pouring time so we recommend to use it for shu pu-erh tea , black or green tea.